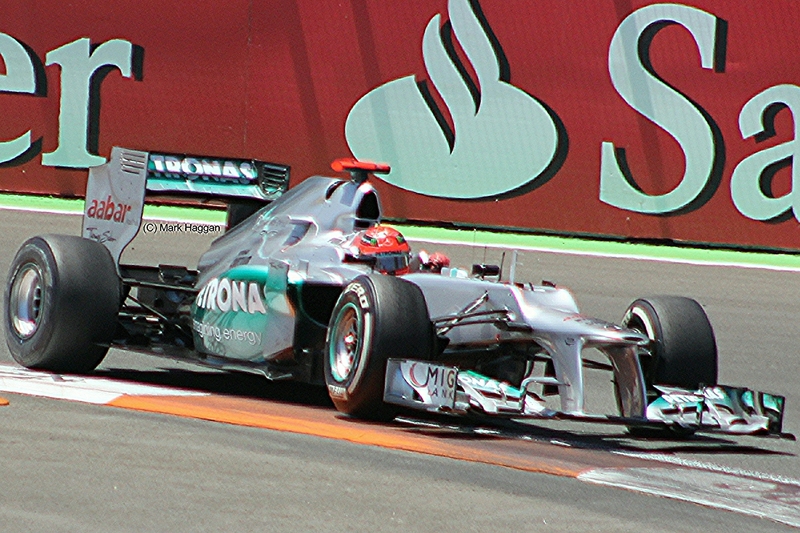 Michael Schumacher moved into Formula One through one of the usual routes as a Formula Three driver, before arriving in the Jordan team at the 1991 Belgian Grand Prix, replacing Bertrand Gachot, who had been arrested. 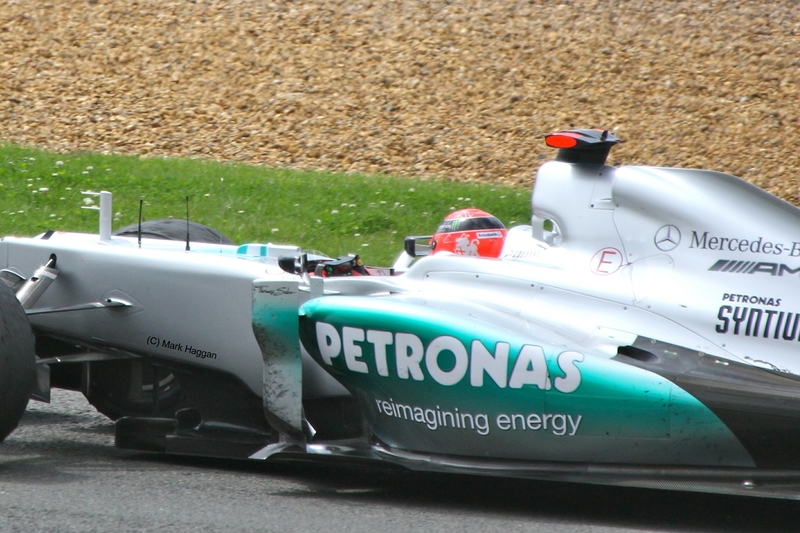 He familiarised himself with the track by cycling around on a fold up bike, and went on to out-qualify his much more experienced team mate. 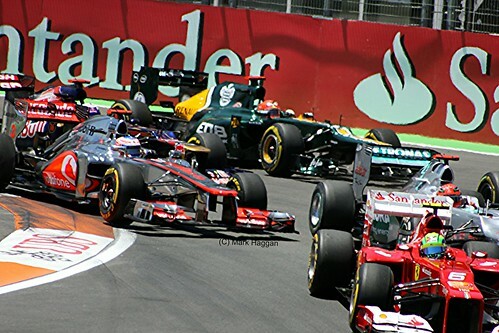 His talent was spotted, and he moved to Benetton for the next race, despite an attempt by Jordan to get an injunction to stop that from happening. 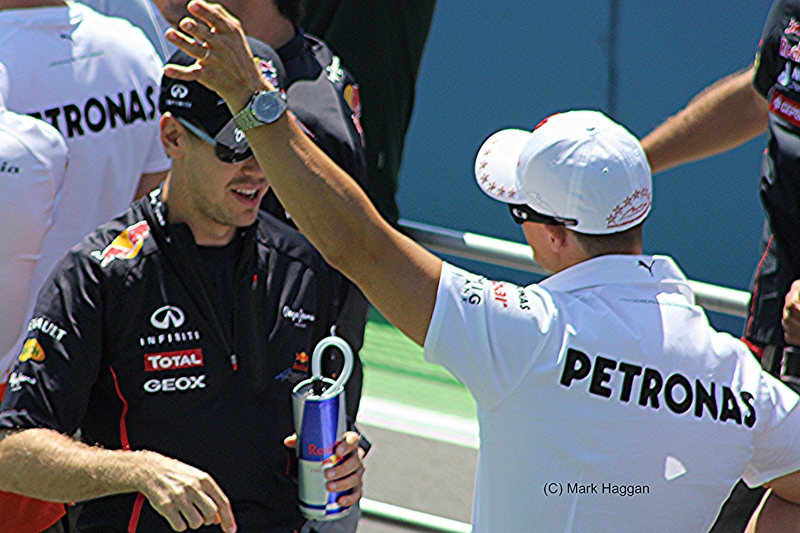 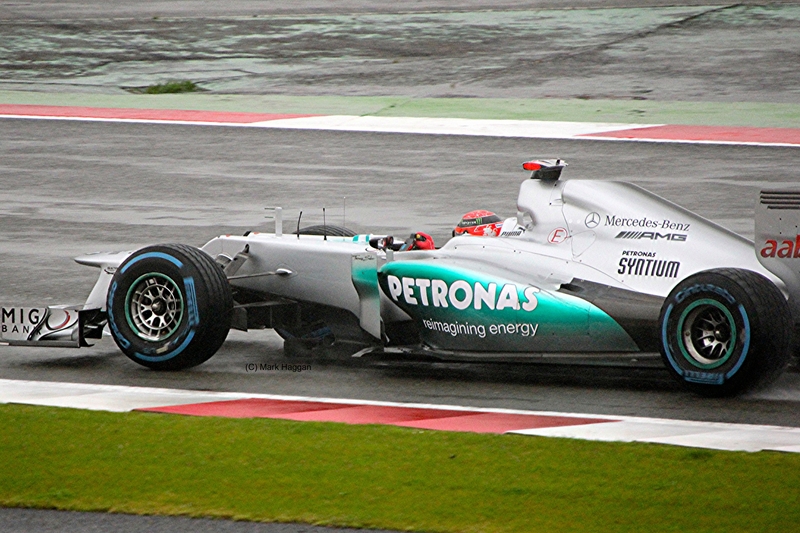 He managed a fifth place that season, ahead of his team mate and former three times world champion, Nelson Piquet. 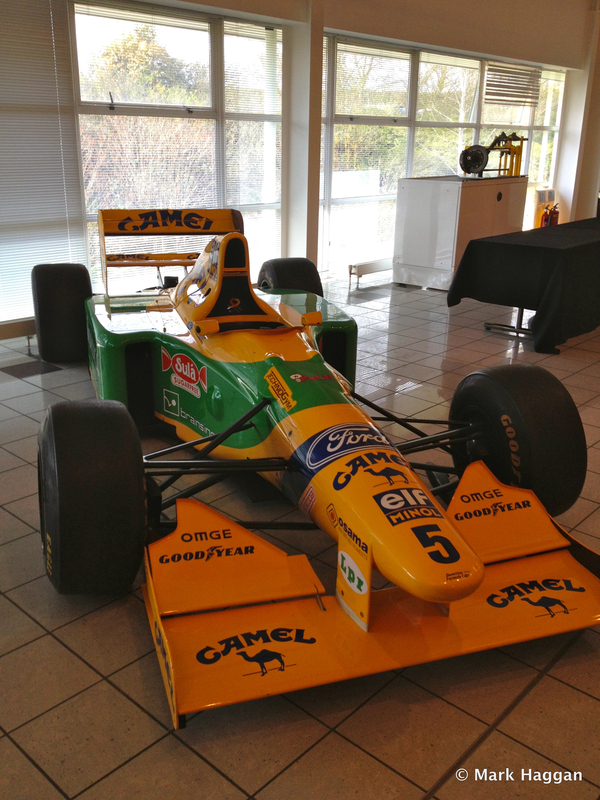 After some contractual negotiations, Michael agreed to stay at Benetton for the 1992 season, which saw Williams dominate the racing and Nigel Mansell win nine of the sixteen races. 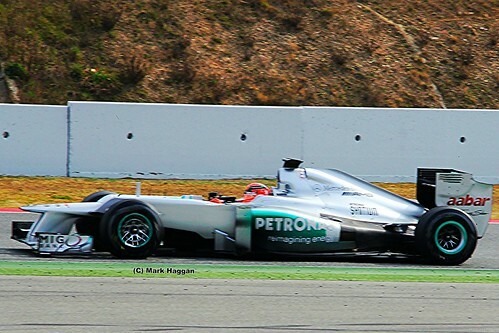 Michael managed a very impressive third place in the championship ahead of reigning world champion Ayrton Senna, and scored his first Formula One victory at Belgium, a year after his debut. 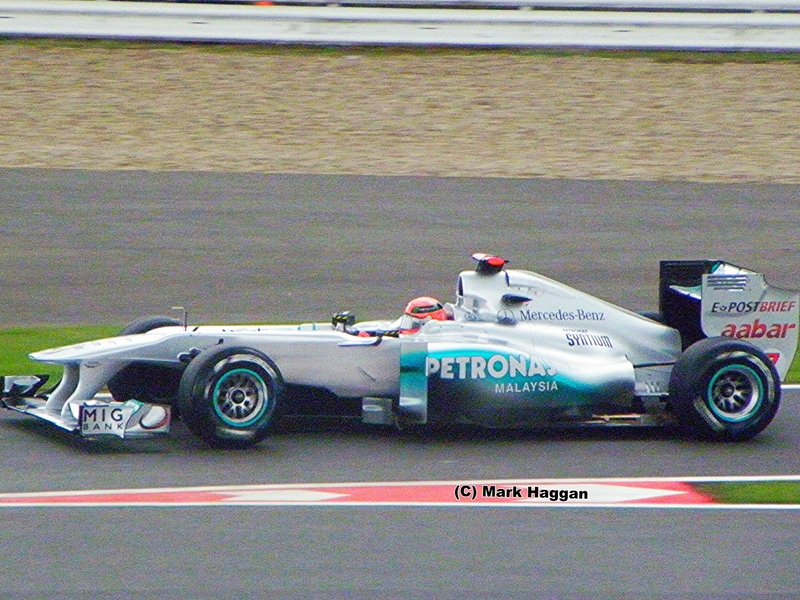 He was the only driver not racing for Williams or McLaren to win a race that year, or the following year. In 1993, the season was again dominated by the Williams team, with the new driver line up of Alain Prost and Damon Hill, and with McLaren again in second place, with Senna partnered with Michael Andretti for most of the season until he was replaced by Mika Hakkinen. Michael managed a win at Portugal. 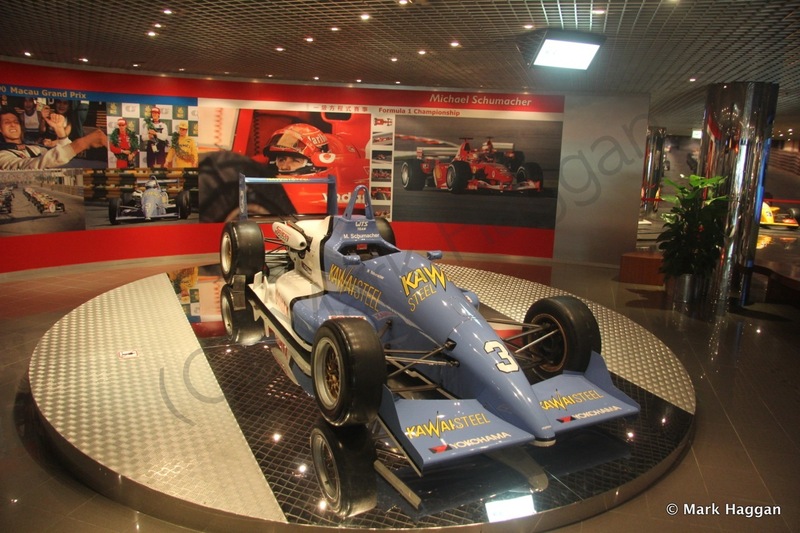 1994 was a dramatic and tragic season in Formula One, seeing the deaths of Roland Ratzenberger and Ayrton Senna at the San Marino Grand Prix. 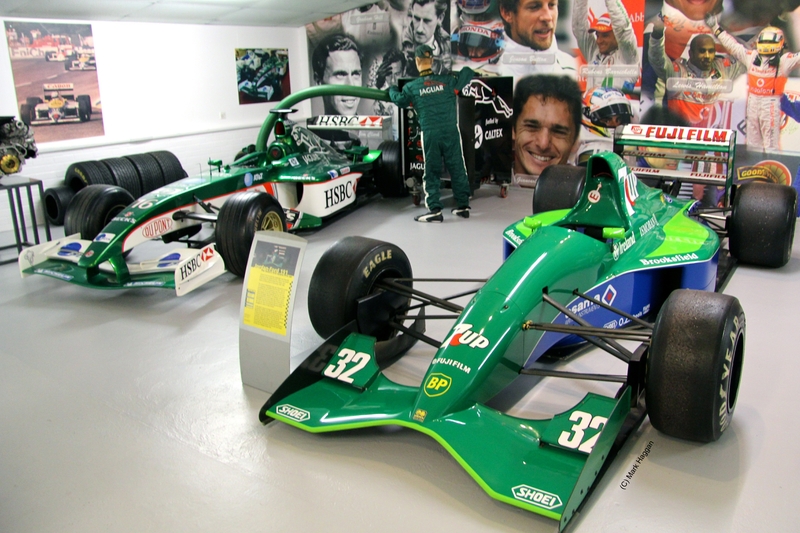 The Benetton team were the dominant constructor in the championship that was filled with controversy. 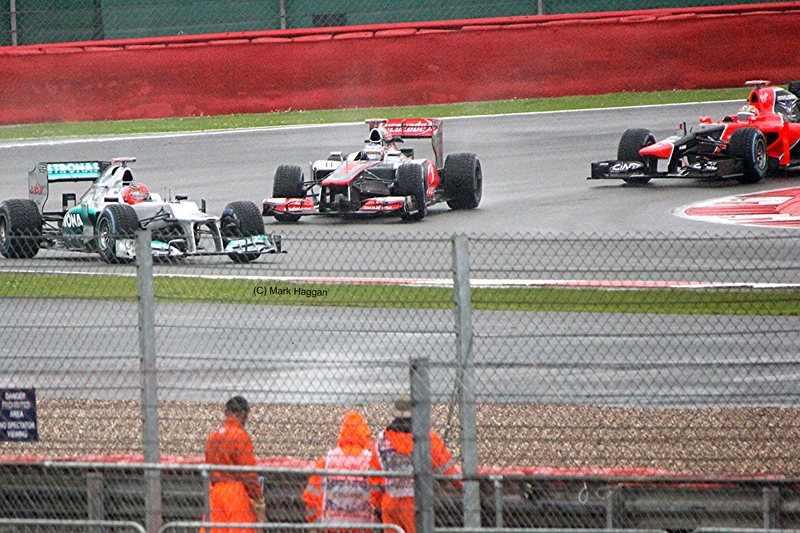 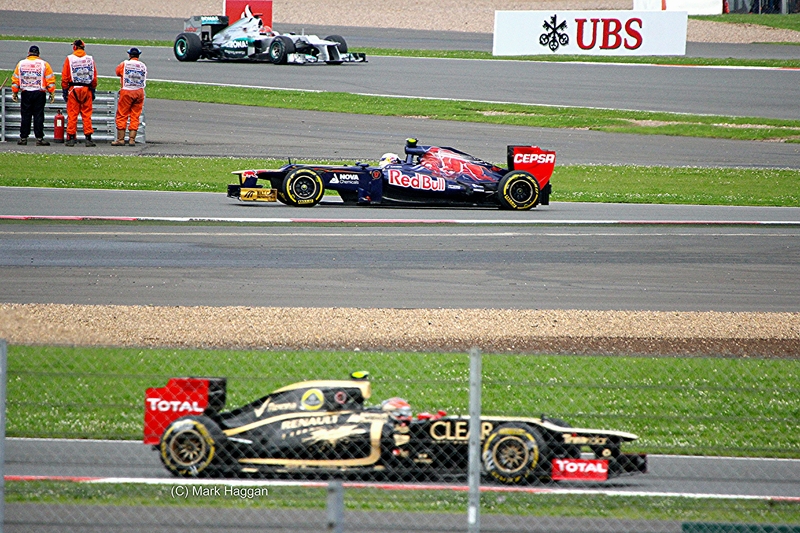 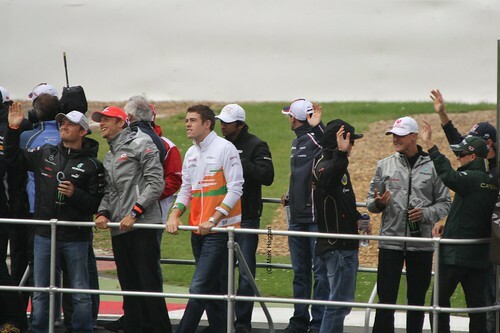 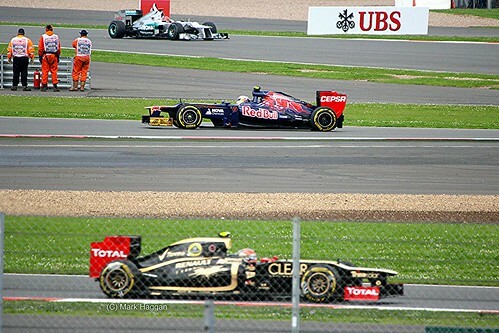 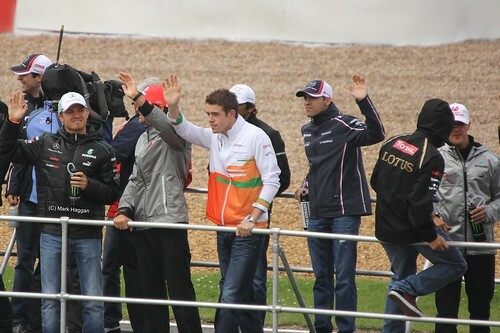 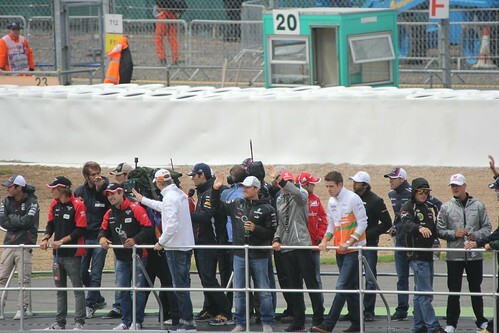 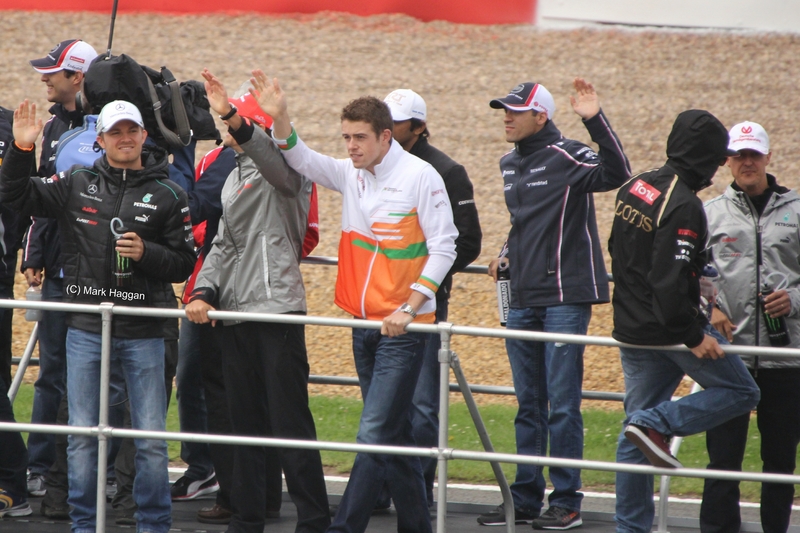 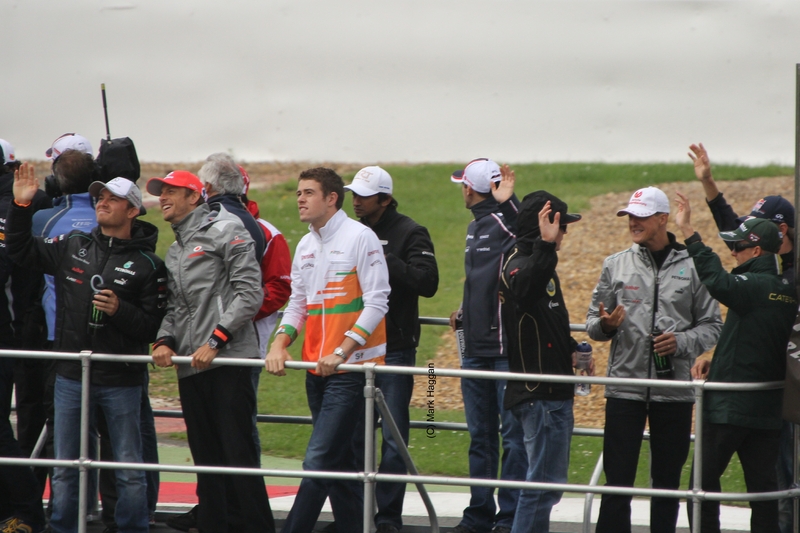 At the British Grand Prix, Michael passed Damon Hill on the parade lap, breaking the rules, before allowing Hill to pass him again to get to the right place on the start grid. 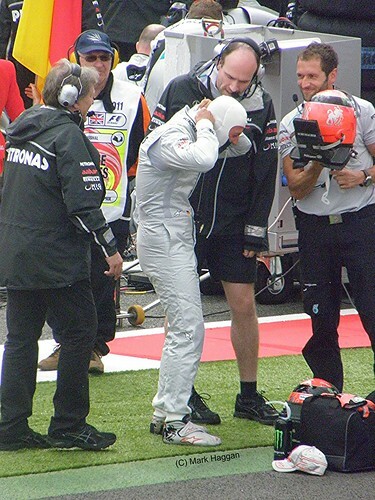 He was given a five second penalty. The team challenged this, and Michael was given a five second stop go penalty for that. The team told him not to come to the pits as they were appealing this, and Schumacher was shown a black flag, disqualifying him from the race. He was told again not to retire from the race as the decision was being appealed. 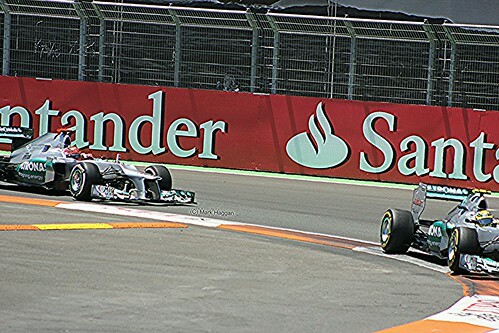 He did, however, serve the stop-go penalty. 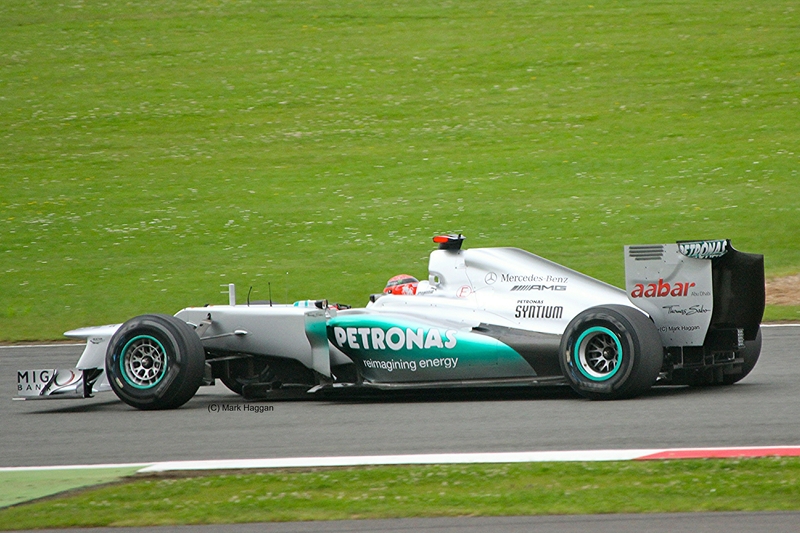 At the end of the race, Schumacher finished second, only to be disqualified for ignoring a black flag, and was given a further two race ban. 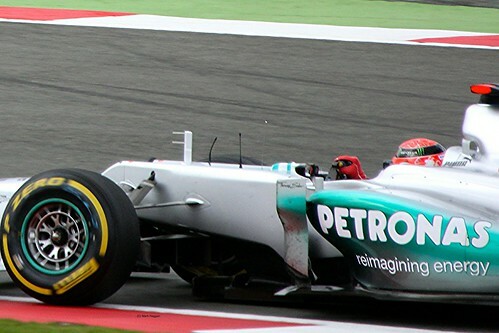 He was also disqualified from the Belgian Grand Prix for excessive wear to “the plank”, the wooden bottom of the car, after winning the race. Even though he was banned from two races and disqualified from two others, Michael Schumacher still managed to take his first World Championship in 1994 by a single point from Damon Hill. In 1995, Michael equaled Nigel Mansell’s 1992 record of nine race wins, and comfortably won his second world championship. 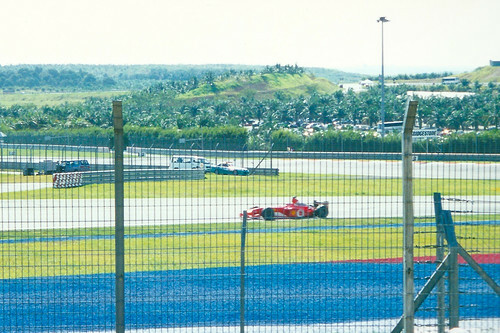 In 1996, he moved to the Ferrari team, which at the time had not won a drivers championship since 1979 and a constructors title since 1983. 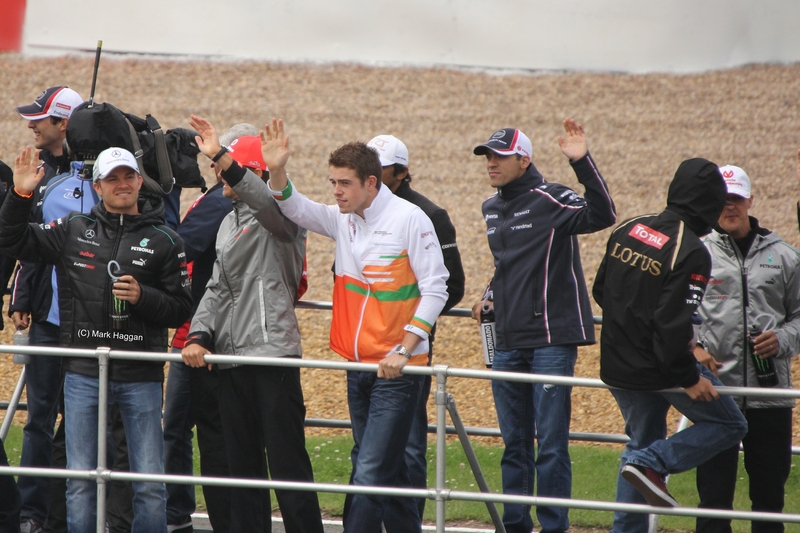 He was soon joined by the technical team of Ross Brawn and Rory Byrne from Benetton. 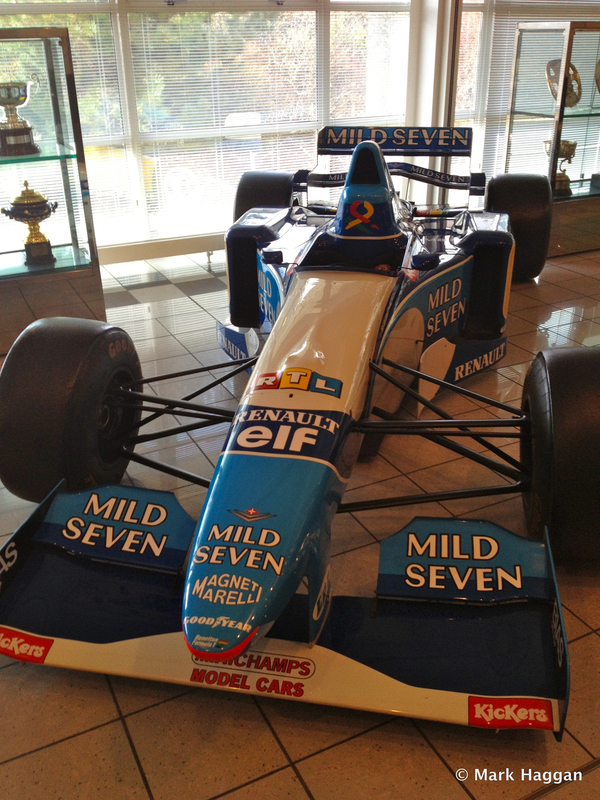 1996 was Hill’s season at Williams, winning the world title, as the Ferraris suffered from poor reliability, and with a third place in the championship for Michael Schumacher. 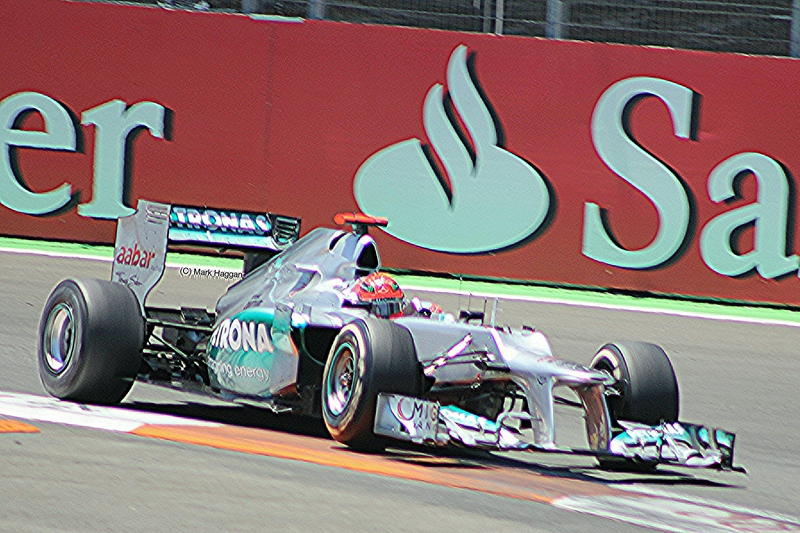 1997 saw Schumacher racing against Jacques Villeneuve for the title, which eventually went to the Canadian, however, Schumacher was accused of attempting to cause an accident with his rival at the Spanish Grand Prix, and was disqualified from the Drivers Championship that year, handing second place to Heinz-Harald Frentzen. 1998 saw Mika Hakkinen win his first World Championship with a second place for Michael Schumacher, and at the 1999 British Grand Prix, Schumacher suffered an accident that saw him brake his leg, and not able to race for three months, when he was replaced by Mika Salo. 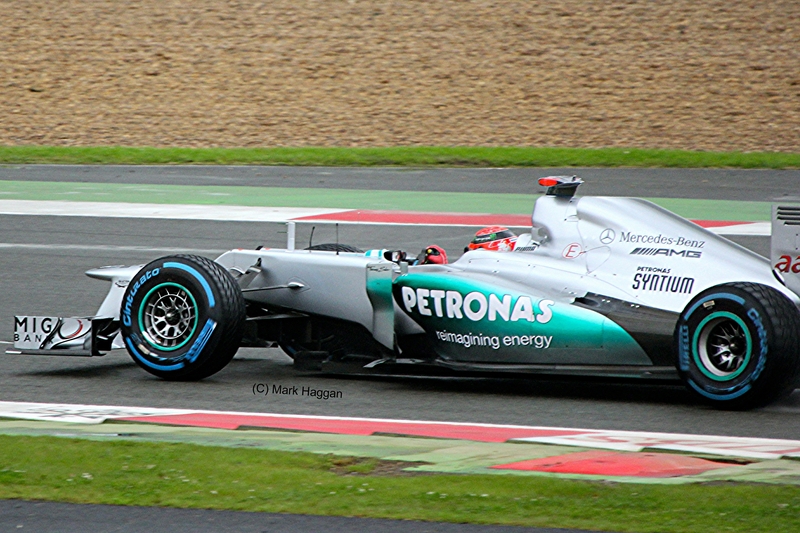 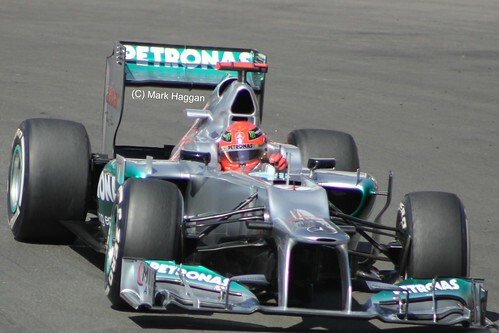 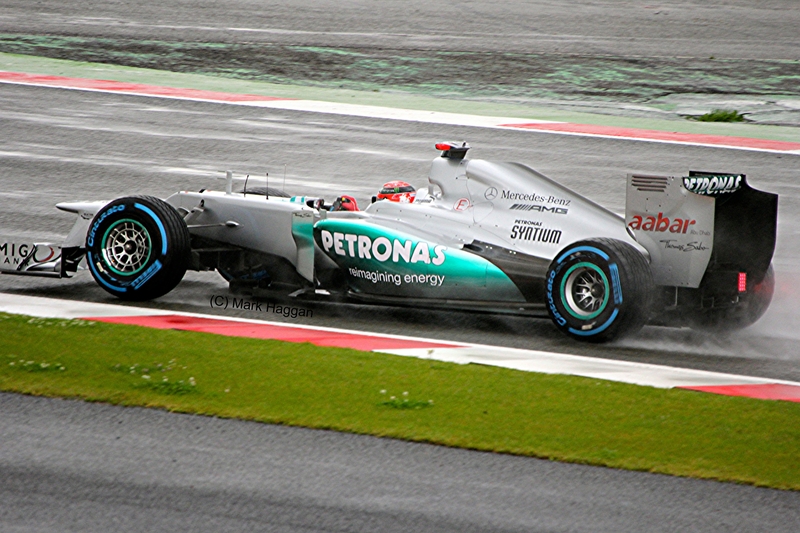 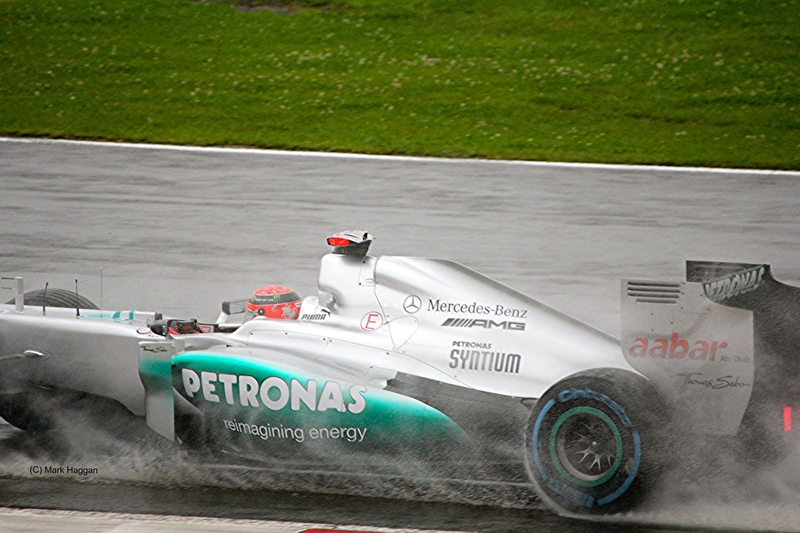 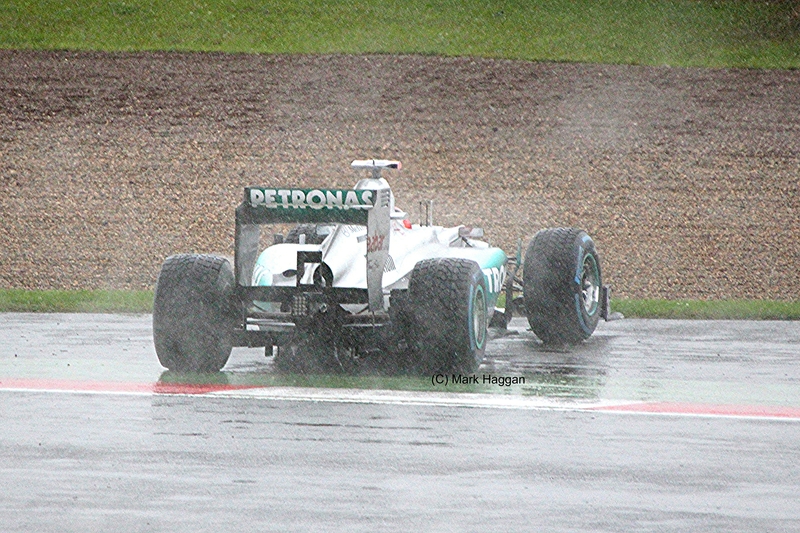 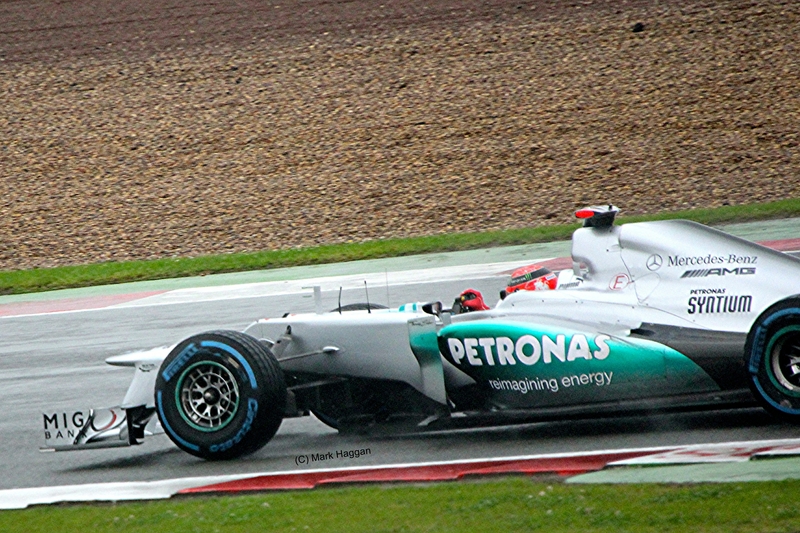 Hakkinen beat Schumacher’s team mate, the British driver Eddie Irvine, by two points to take his second title. 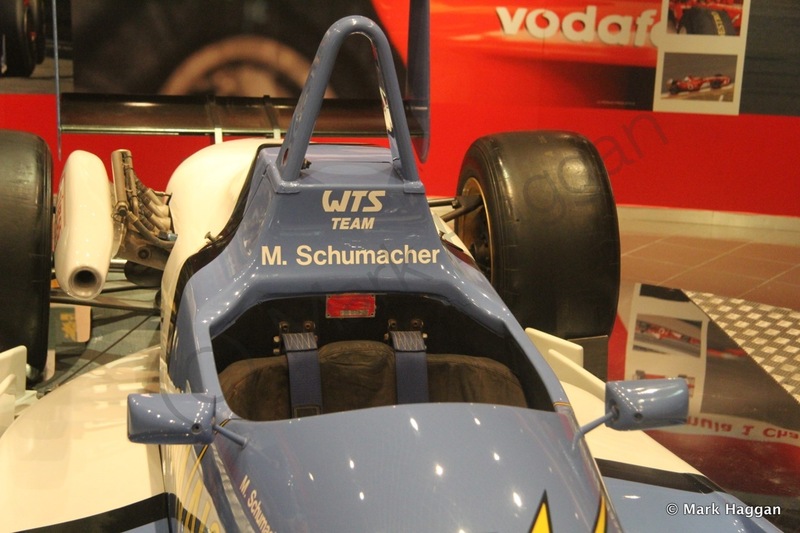 It could very easily have been Irvine, not Schumacher that ended Ferrari’s championship drought. 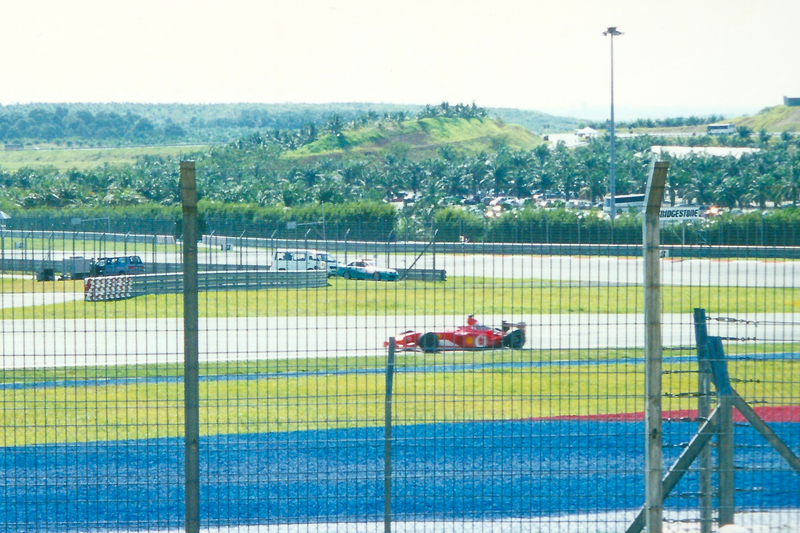 2000 saw the work done by the Ferrari team and Schumacher come to a head with Schumacher winning his third world championship, and Ferrari win the constructors title. 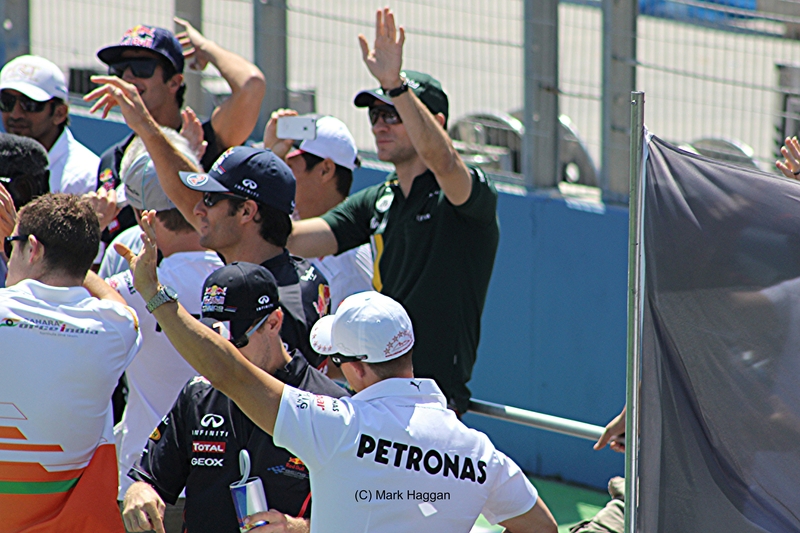 After waiting so long for a win in the title, it did not take so long for the next win. Schumacher and Ferrari won again in 2001, and in 2002, 2003 and 2004. 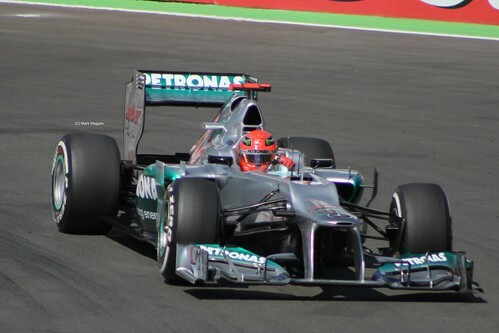 Schumacher was now the sport’s first seven times world champion, passing the long held record of five set by Juan Manuel Fangio. 2005, however, saw a new dominance, this time by Renault, with Fernando Alonso winning the world title, and again in 2006, with Schumacher second. He announced his retirement from the sport. 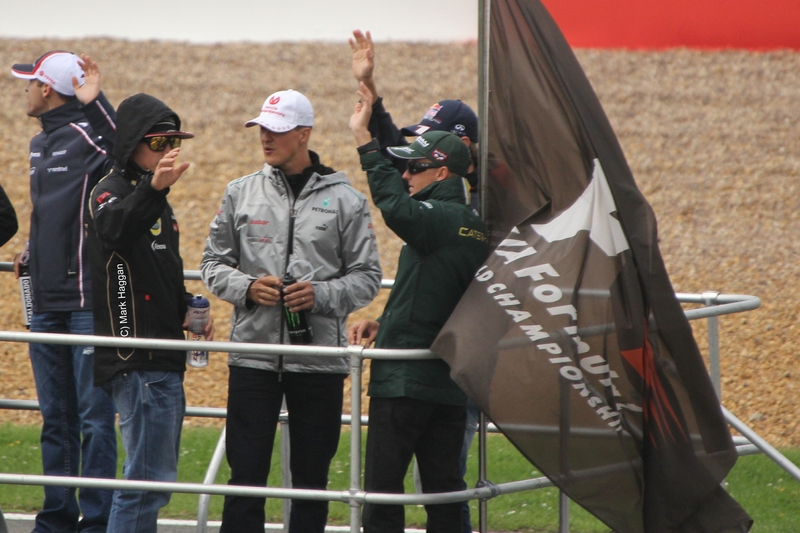 However, over the next few years, Michael was still a frequent visitor to Grand Prix weekends, and at the end of 2009, as the World Championship winning Brawn team was sold to Mercedes, Michael announced that he was returning in 2010. 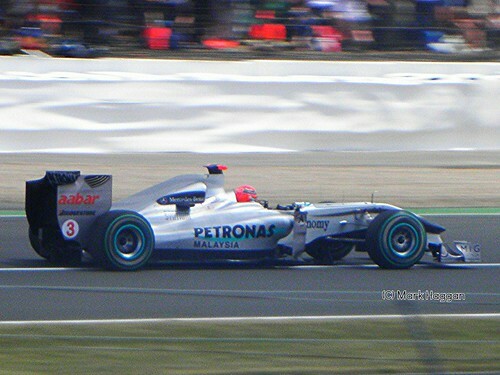 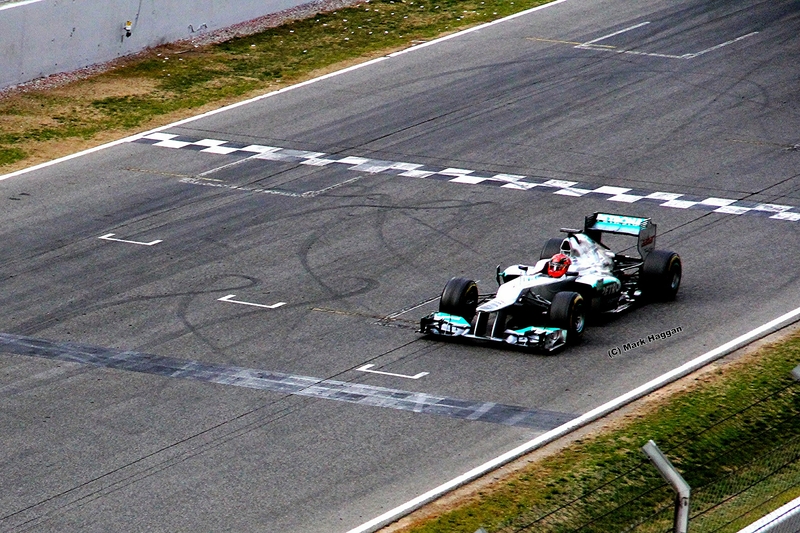 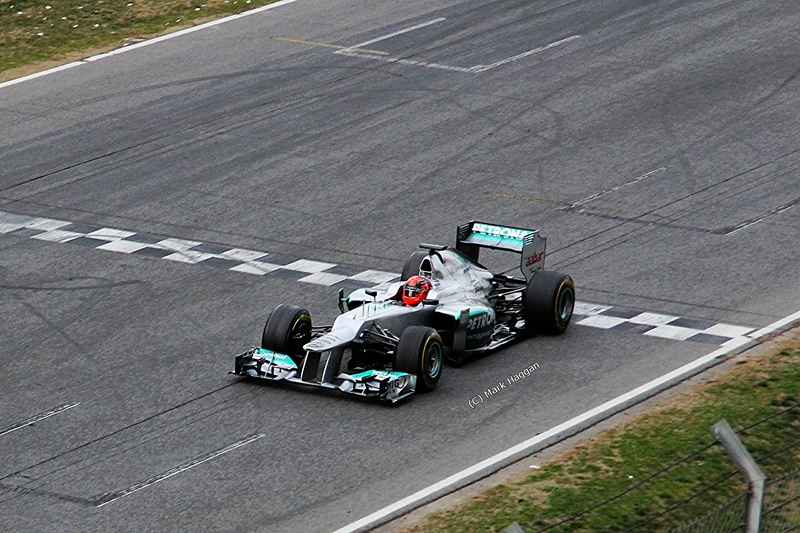 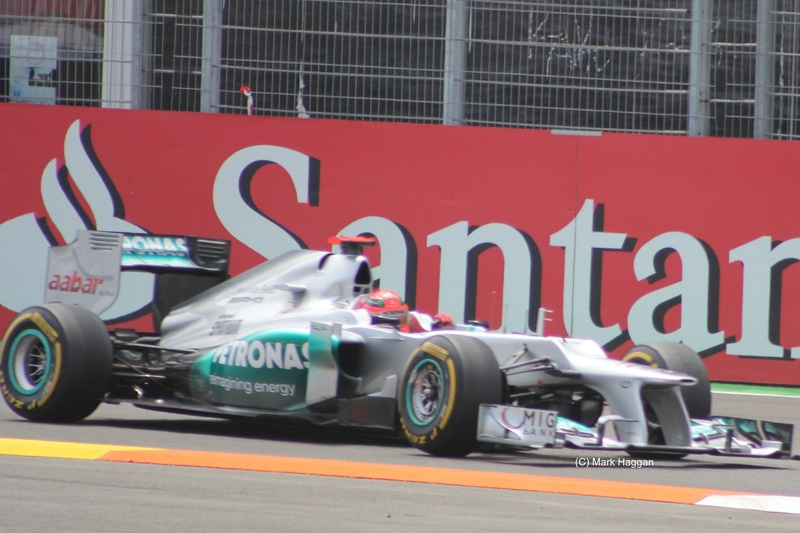 He drove for Mercedes through the 2010, 11 and 12 seasons without any wins, and with a single podium result, in Valencia in 2012, where I was lucky enough to see him racing. 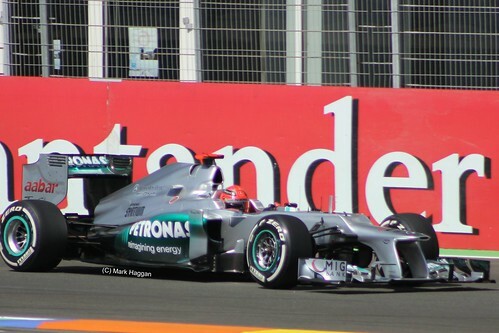 At the end of 2012, Michael announced his second retirement. Given his seven titles, and his fair share of controversy over his years as a driver, the name, legacy and legend of Michael Schumacher will stay in Formula One for a long time to come, whether or not Michael himself decides to return from his second period of retirement. 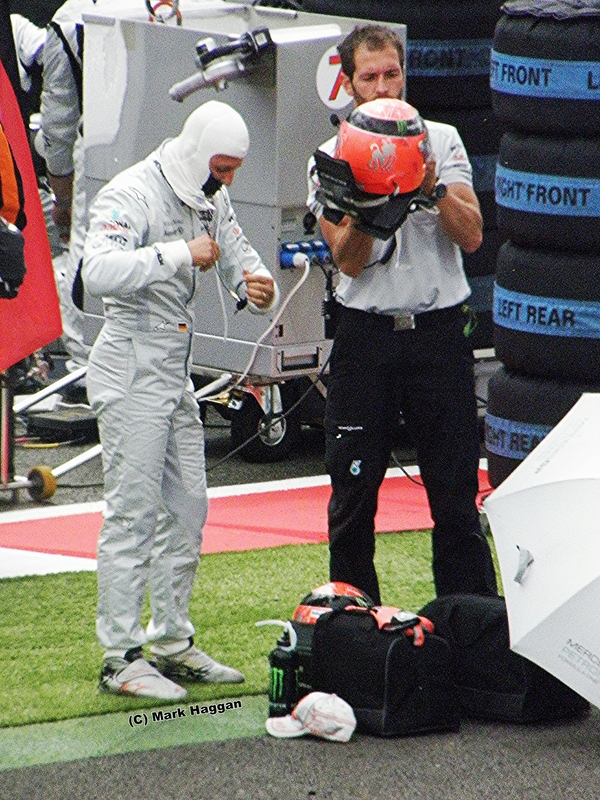 The end of 2013 saw Michael involved in a skiing accident that has resulted in a lengthy hospitalisation. I hope his recovery is swift and full. 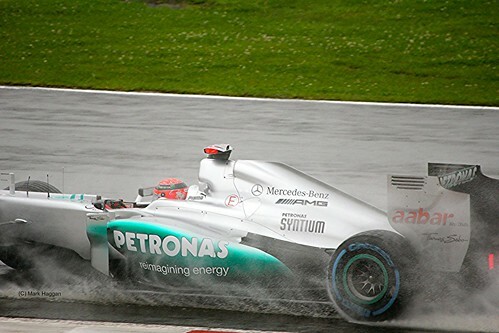 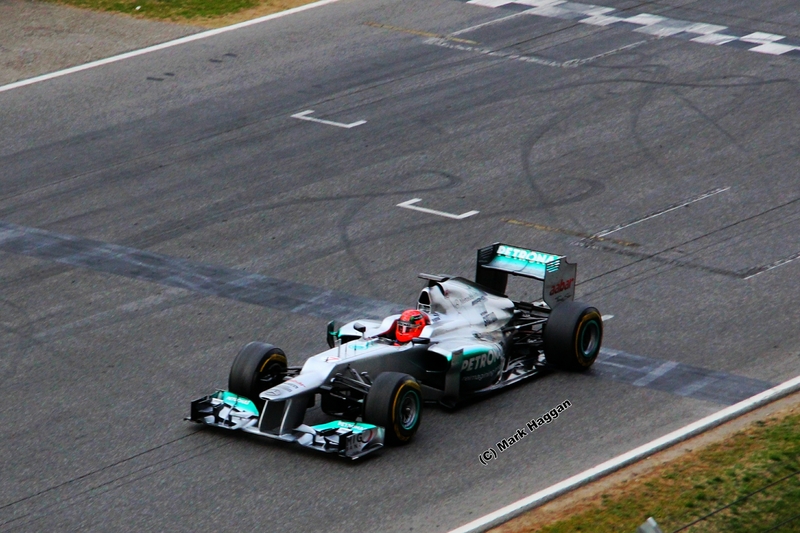 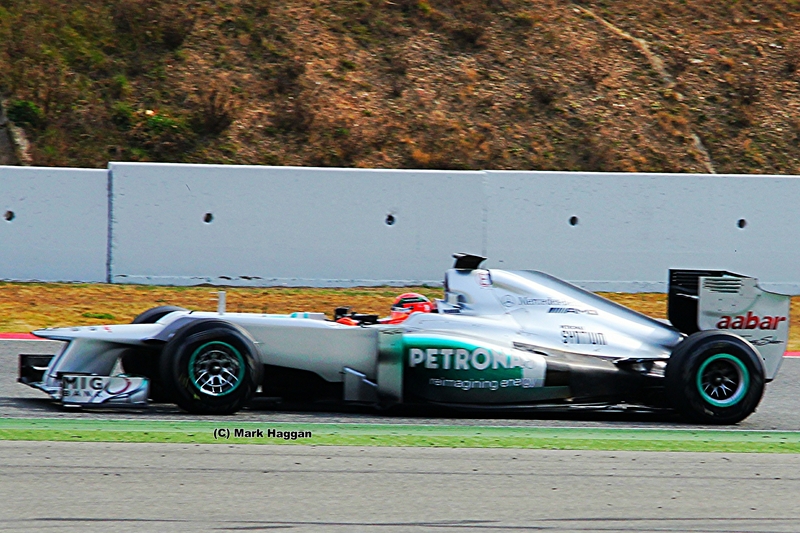 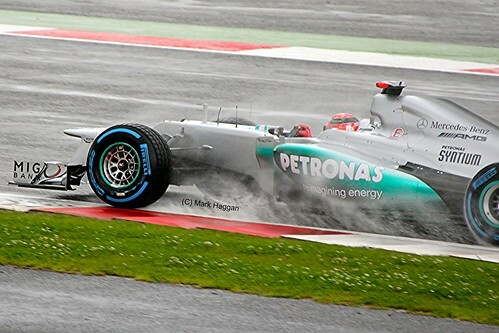 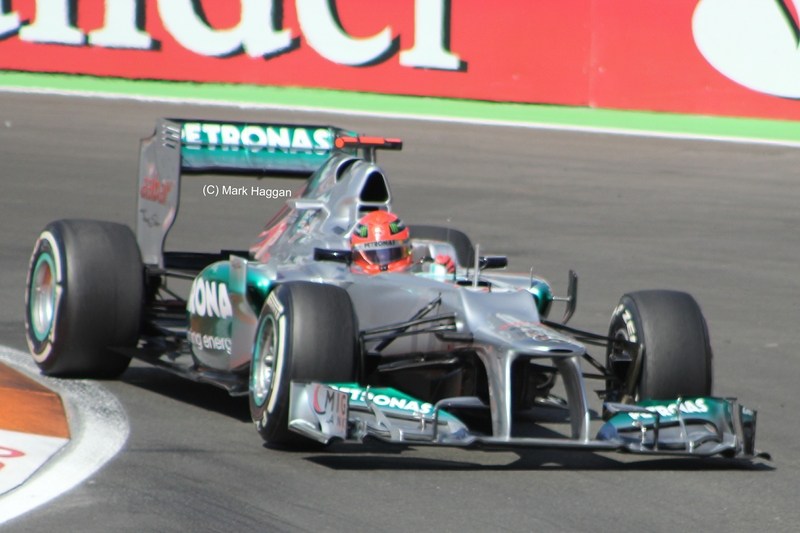 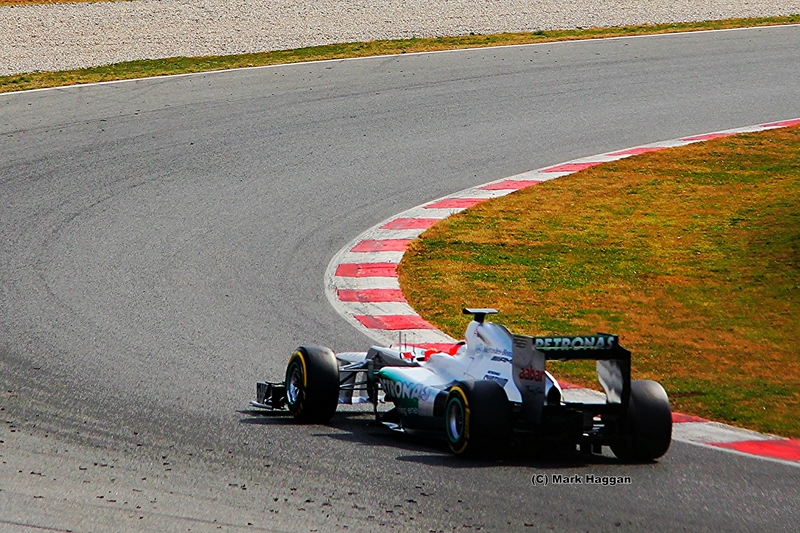 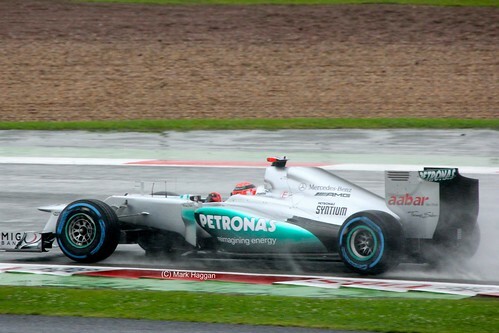 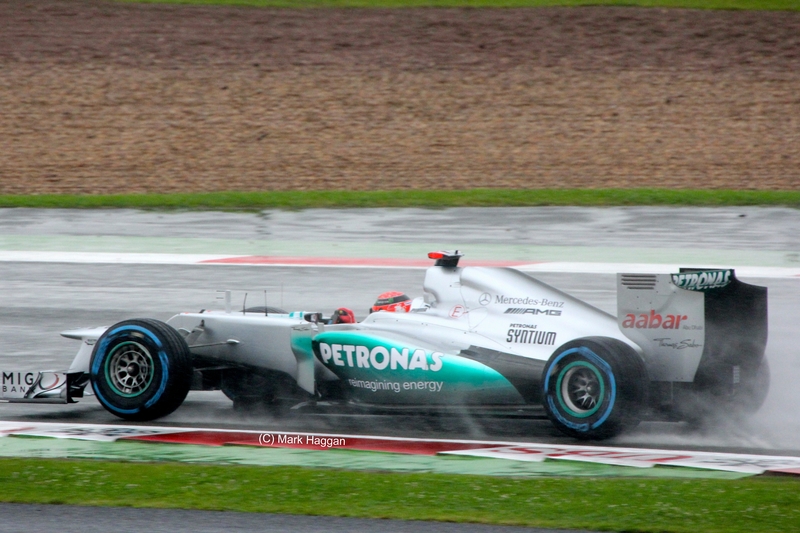 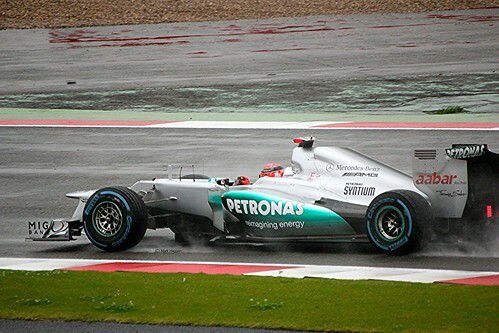 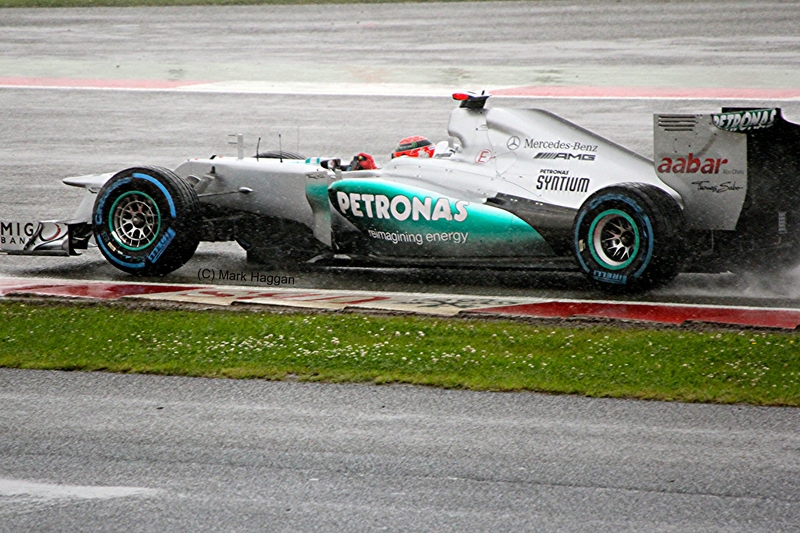 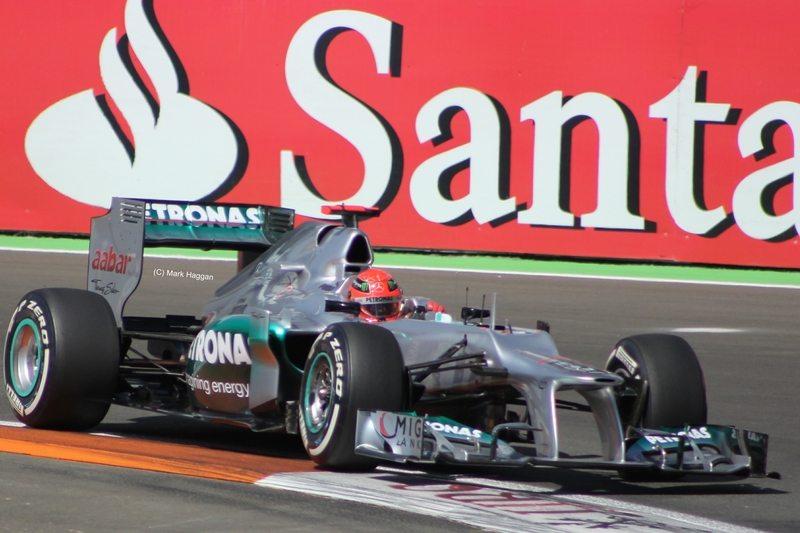 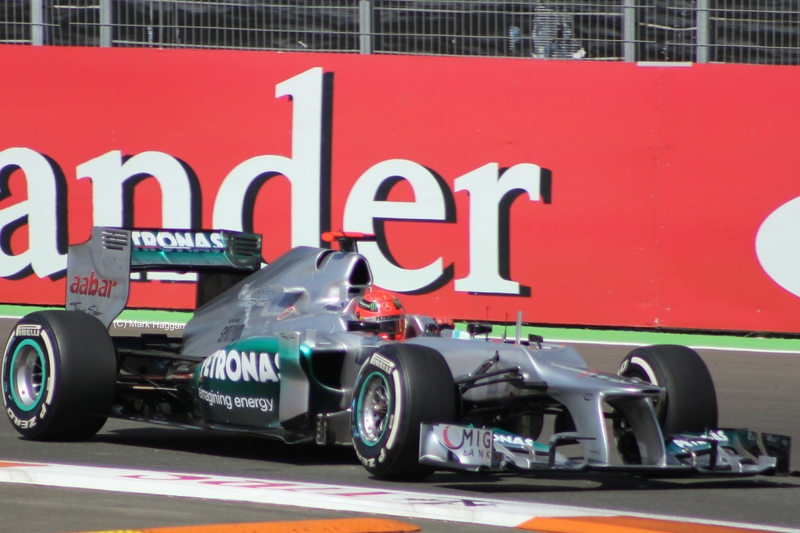 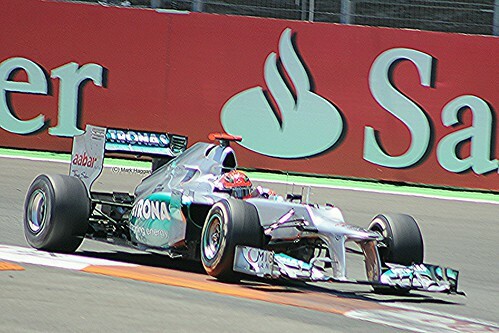 Formula One, Motor Racing F1, Formula One, Gallery, Michael Schumacher. permalink.